Furnish the skills of fresher/Experienced at corporate by delivering industry admirable certification for Advanced Tally training. Complete practical Tally training & online e-filing on real time by 4-5 expert CA/FCA With having 10+ Years of experience. Placement assistance would be 100% after completion of 70% Tally training our dedicated placement team arrange interview till placement. Tally is considered one of the most essential and complete Accounting tool used by millions of organization and individuals all over the world for Accounting operations. In order to help the candidate learn the skills and usage efficiently, SLA Consultants Gurgaon has designed Advanced Tally Course in Gurgaon which is targeted towards both freshers and experienced professionals who want to pursue a successful career in the Accounting field. The Tally course will cover various aspects of the Accounting tool and enable the participants to perform GST operations as well using Tally. Accounting is one of the most common work profiles in any business organization for which various tools are used to perform Accounting functions in an efficient manner. One of these tools is Tally enterprise resource planning tool which is highly popular in the field due to the various benefits it offers to the Accountant and business organization. It is simple to use, performs operations Attar high speed, extremely powerful and robust in nature along with offering events flexibility and versatility as it does not have any codes to execute. 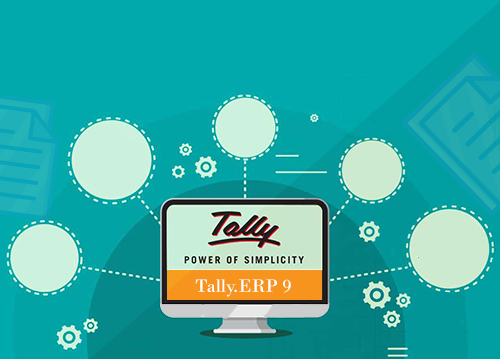 Tally ERP 9 is the latest version of the tool which is considered a powerful business management software used for performing Complex operations such as financial and inventory management, sales and purchase management, preparation of invoice, reporting, and management information system. SLA Consultants Gurgaon understand the importance of Tally ERP in the current business market which is also known to be the most efficient skill any e-commerce student must have. Therefore, to assist them in securing a good job opportunity after graduation in commerce and give their career a kick start, our Institute in Gurgaon/Gurugram has developed Advanced Tally Training Course for aspiring candidates. The Job-oriented Tally Training will provide all the relevant information related to the Accounting tool along with performing GST operations. Some major topics that will be covered in the Tally course include GST compliance, setting up GST rates, sales and purchase ledger, developing income and expense ledger, recording and reporting various transactions under GST, status reconciliation, challan reconciliation, etc. At SLA Consultants Gurgaon, we need to provide the learner with industry-focused comprehension and skills in Tally ERP with GST using the most updated Tally course curriculum taught by the very best faculty in the field. Anyone with a graduation degree in commerce can pursue the Tally Training Course. The learners will be provided with Live Practical Tally Training Classes, project and assignment for real-world organizations, wide admin support, flexible class timings and 100% job placement assistance. Learning Tally is the top priority for every commerce graduate as it provides the foundation for them to start their career in the accounting field. Gaining skills in Tally ERP9 allow the individual to have practical knowledge of Accounting functions along with abilities to perform them as expected by the organization. It makes keeping track of expenses and revenue of the company much easier as the user is able to develop financial statements and balance sheet within a few clicks. Therefore, learning Advanced Tally ERP9 would be highly beneficial for your career, which can also be understood by the below-mentioned points. Tally Training will help you start your Accounting career in a promising manner, as professionals with selling skills are high in demand. You will be able to perform your Accounting operations more flexible and comfortable, allow you to reduce errors while making Accounting entries and calculations after done with Tally training. As a working professional, you can perform payroll processing, inventory management, multi-currency, and interest calculation and taxation operation efficiently, becoming a valuable person for your respected organization. You can save a lot of time and money by learning about Tally ERP9 skills with GST at Tally training as you want require to hire a professional when you open your own business. The starting salary of a Tally operator in India is 2.5 lakh per annum which can increase up to 6 lakh as per experience and improvement in skills. Therefore, if you are looking for the best and quality Advanced Tally Training in Gurgaon/Gurugram, then join SLA Consultants Gurgaon to give your career powerful start after graduation in commerce. For more information regarding the Tally Training Course or the Best Tally Training Institute please visit our center in Gurgaon/Gurugram. Find the Tally course details below. Is the Tally Training beneficial for working professionals? Yes, the Tally training will provide working professionals good knowledge and comprehension to improve their skills in accounting operations to live training and practical sessions. Will I be able to increase my pay scale after Tally Training? It depends on the requirement of your organization and their method of promotion. Although, after analyzing your skills and seeing improvement, you will certainly get a hike in your salary. What is the minimum qualification to apply for the Tally training course? The candidate needs to have a graduation degree in commerce to be eligible for the course. Last year college in students can also join the Tally Course in Guragon. What is the duration of the Tally course? Duration of the Tally course is 20 to 25 hours, or one month. Weekend classes are also available for Tally Training in Gurgaon for working professionals. Will I get a Tally certification Training after completion of the Tally course? Yes, all the candidates will be given a valid certification for SLA Consultants Gurgaon after completion of the Tally course. Is there any demo class available for Tally Training before registration? Free demo classes are provided to the interested candidates before actual registration begins at Gurgaon Center.